What can change a person's very nature? How can the broken be made whole? In a world where most people still dismiss genre fiction as ‘trash’ or ‘pulp,' it should be no surprise that role playing games don’t have a reputation for literary value. And, to be fair, I can understand why: most adventures are just for fun, and are not intended to be particularly literary. While not all games should be literary, the stories we tell with them can be literary experiences. And one thing that separates literature from 'trash' (even fun, satisfying trash), at least for me, is the asking of a grand question. 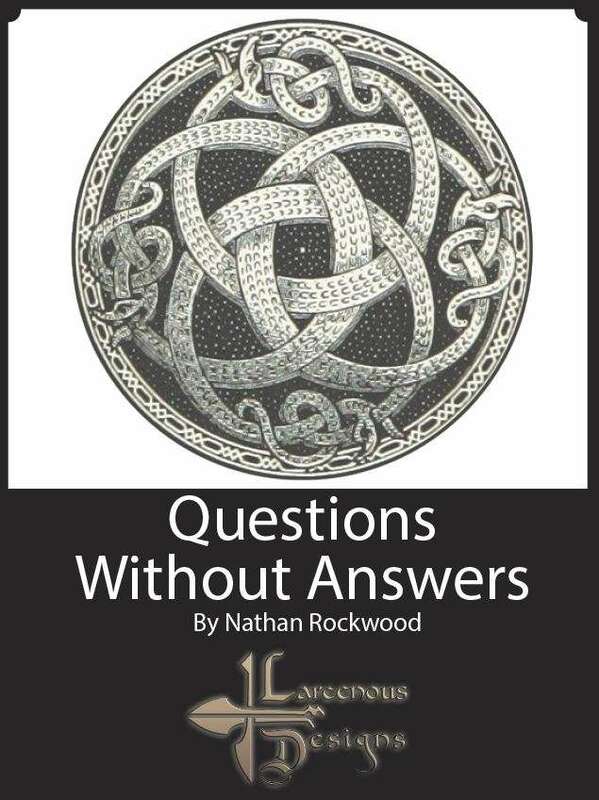 So, drawing on more than two decades of combined gaming and teaching experience, I offer a list of 50 Questions Without Answers, and brief advice on using them in three ways: As a player running a character with a grand question, as a GameMaster planning a story with literary drive, and as a game designer who wants to support this kind of play.